Quick summary: In this activity students will appreciate how the rapid growth of technology has impacted on the development of mobile phones in a relatively short period of time. Students will understand why mobile phones have changed so rapidly and the repercussions of this on environmental sustainability. In groups students work together to design the next generation of environmentally-friendly mobile phone. Following this lesson plan is an ideal way for your school to take part in MobileMuster. You’ll be joining thousands of amazing teachers in making a difference and creating positive environmental change. Take part in the Schools Recycling Right Challenge for Planet Ark’s National Recycling Week. Register your lesson or other activities today! Students will see how mobile phone development through the years has impacted our environment. Cross Curriculum Priorities: Sustainability OI.3, OI.8. Topic: Consumption, National Recycling Week. Resources required: Worksheet: History of Mobile Phones, History of Mobile Phones Answer Sheet, Game: History of Mobile Phones, Interactive whiteboard (IWB). Digital learning opportunities: Digital sharing capabilities, Slideshow: History of Mobile Phones, Video: Old Mobile Phone Advertisement. 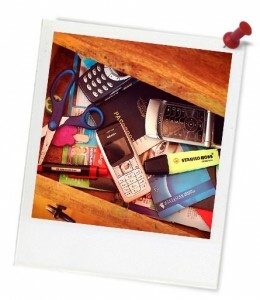 Homework and extension opportunities: Using the MobileMuster Resource Recovery Calculator students can calculate the number of mobile phones that would need to be recycled to create some of the everyday items that they use at school or home. Keywords: Waste, litter, e-waste, mobile phone, consumption, MobileMuster. Overarching learning goal: Students will appreciate how the rapid growth of technology has impacted on the development of mobile phones in a relatively short period of time. Students will understand why mobile phones have changed so rapidly and the repercussions of this on environmental sustainability. In groups students work together to design the next generation of environmentally-friendly mobile phone. 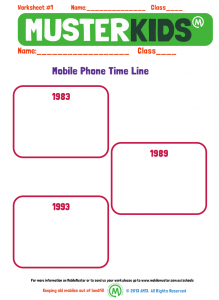 Click here to download the Mobile Muster History of Mobile Phones Student Worksheet.